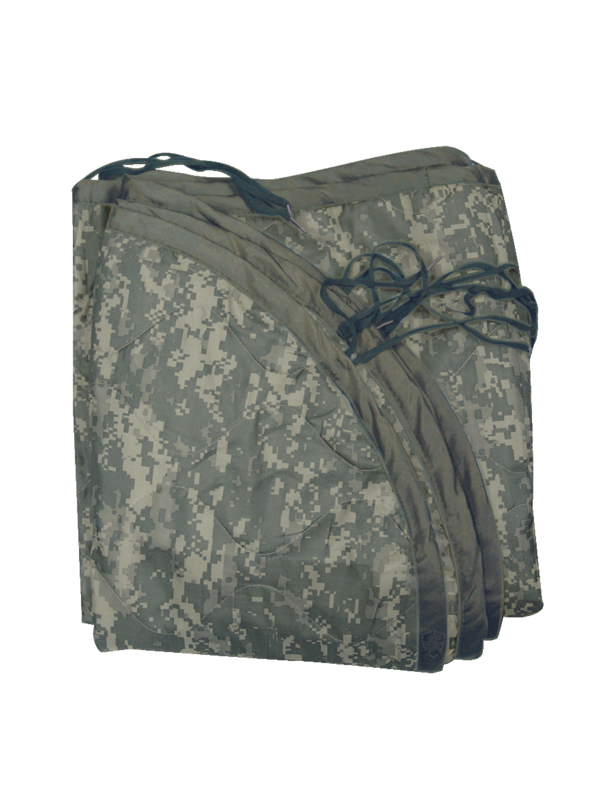 These 5ive Star Gear® GI Spec Military Poncho Liners are designed after the US military issue poncho liner. They are made from a quilted polyester shell with 100% polyester filling. They have tie in cords for attachment to our GI spec military ponchos, but are ideal as a sleeping bag liner or blanket on those chilly Fall and Winter adventures while backpacking and camping.